Cambuci is a neighbourhood south of Sao Paulo’s centro, in the area named for its park, Parque Aclimação. Low-rise housing predominates, though prices mean that the developers are moving in. For the moment it retains some of the older character of Sao Paulo – single-storey houses with small gardens, friendly, less anonymous architecture which only survives in pockets or in back streeets in more developed areas like Itaim and Higienópolis. There, vila houses are at a premium – here they are the norm. The side streets are quiet, the pace relaxed. 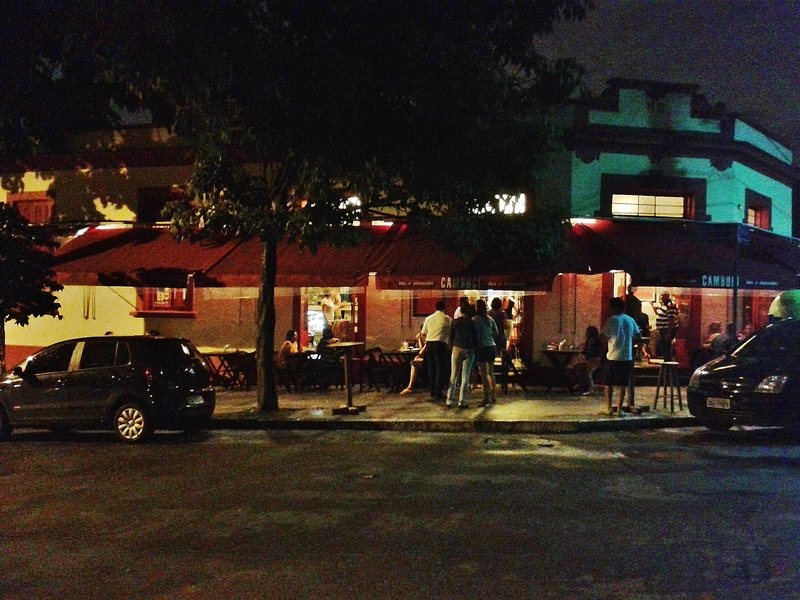 On an airy corner of the Rua Gama Cerqueira a bar stands wide open. Red awnings stretch over the pavement, with high stools and tables for the clientele, French doors flung wide, and hurrah! – plenty of room to park. This is not Vila Madalena. The ambience shows the Mediterranean influence of the district’s people, here since the beginning of last century. Welcome to the Bar e Armazém Cambuci. A high ceiling and the open doors keep the room cool. 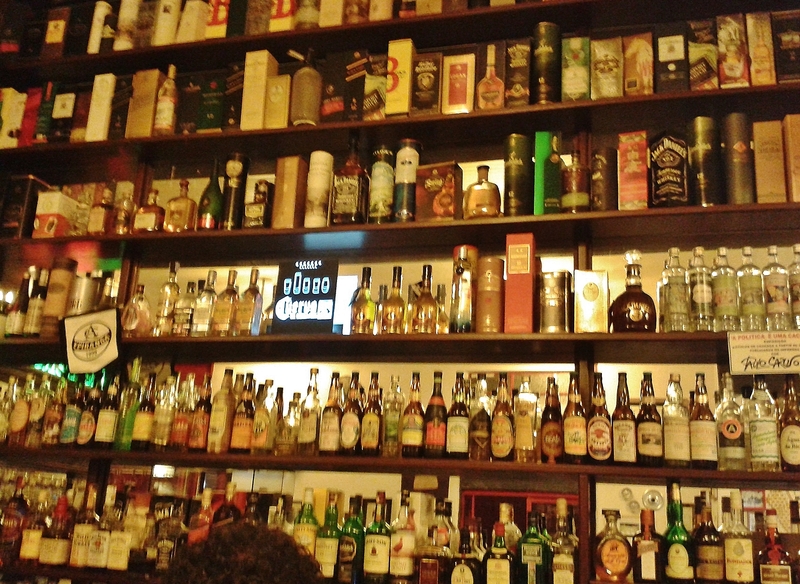 The shelves behind the bar sport an enormous array of bottles, the walls are covered with mirrors, cartoons, posters, household objects and memorabilia. The clientele is a mix of families and couples, friends, larger parties, locals and music lovers come to hear tonight’s attraction, Trio Cambuci. They play choro here every Tuesday. 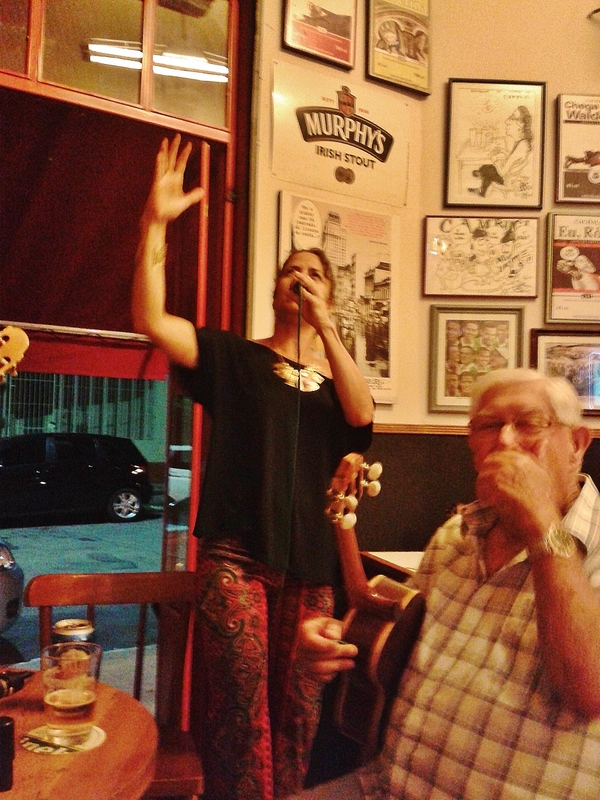 It’s a natural home for Brazil’s oldest style of popular instrumental music. The choro crowd, musicians and audience, are welcoming. Everyone knows everyone, and if not, they soon do, smiling at each other and nodding in time to the music played by virtuoso Stanley Carvalho on clarinet, Cidão 7 Cordas on the seven-string guitar which takes bass line and rhythm, and Artur Bernardo on Brazil’s answer to the tambourine, the pandeiro. Stanley bears a more-than-passing resemblance to British comedian Ronnie Barker, and is just as affable. 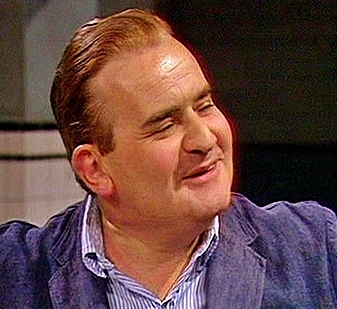 British comedian Ronnie Barker – looks like him, não é? The trio plays tonight with guest John Berman on clarinet too, a beguiling combination which produces exquisite harmonies. Here’s the Trio in action in the bar, captured on YouTube. Stanley encourages, nay demands that the crowd sing along, and calls more guest vocalists to the microphone. One lady, moved to tears by the beauty of a choro by Jacobo do Bandolim, recites the verses of a song while her compagnonne sings the chorus. Here in the warm heart of Brazilian popular culture, there’s room for tears and laughter.